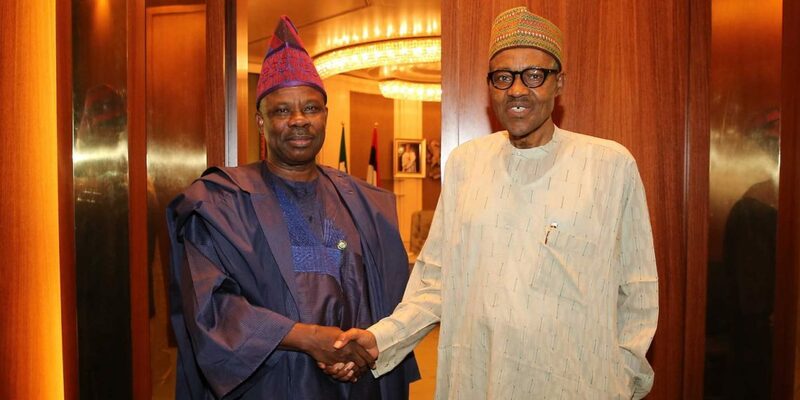 OGUN State Governor Ibikunle Amosun disclosed yesterday that some people were labouring to turn President Muhammadu Buhari against him. He said such scheming would fail. Amosun vaguely identified people he considered as â€œforeignersâ€ with intent to enslave Ogun people and their votes as likely suspects in the plot to sway the President against him. The governor spoke at Kajola ward in Obafemi Owode Local Government Area in continuation of his campaign for Ogun Central Senatorial seat in the February National Assembly election. He urged the people to vote for President Buhari, saying he has added value to the development of the country and the state in particular. â€œAll what they are doing is to turn President Buhari against me. Nobody can turn President Buhari against me. It is impossible. â€œIt is important we vote for President Buhari because he is adding value to the development of Nigeria and Ogun State too. â€œLook at our railway, airport, power and many others. So we should all vote for him. â€œIt is now that the state is fast developing that some people are trying to disrupt its peace. â€œWhere are they before this time? It is now that the state is fast developing that they want to disrupt its peace. Resist them, donâ€™t allow anybody to enslave you.â€ you.â€ with your votes,â€ Amosun said. This government has failed his people already.